Christopher Columbus was the first to discover Panama, arriving in 1492. In 1513, Vasco Nunez de Balboa discovered the Pacific, or south Sea. Panama named its currency as well as one of the main avenues in the city after him. In 1519 the first city on the Pacific side of the Americas was founded, Panama la Vieja. The founder was Spaniard Pedro Arias Davila. Panama was already a city of trade at that time. Due to its strategic position, Panama has always been a center for trade. 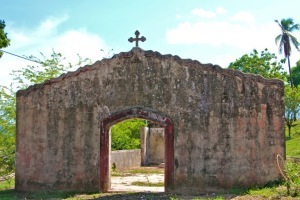 In 1671, pirate Henry Morgan sacked and burned Panama, forcing the city to be moved 10 kilometers from the original site to a more secure, rocky peninsula, now known as San Felipe or Casco Viejo. From 1673 to 1821 Panama was a Colony of Spain. It broke with Spain in 1821 and joined a union of Nueva Granada, Ecuador, and Venezuela named the Republic of Gran Colombia. When Gran Colombia dissolved in 1831, Panama and Nueva Granada remained joined. Nueva Granada later became the Republic of Colombia. With the backing of the United States, Panama seceded from Colombia in 1903, allowing the Panama Canal to be built by the U.S. Army Corps of Engineers between 1904 and 1914. In 1977, an agreement was signed for the total transfer of the Canal from the United States to Panama by the end of the 20th century, which culminated on 31 December 1999. Panama’s current politics take place in a framework of a presidential representative democratic republic, whereby the President of Panama is both head of state and head of government, and of a multi-party system. Executive power is exercised by the government. Legislative power is vested in both the government and the National Assembly. The judiciary is independent of the executive and the legislature. Panama has successfully completed four peaceful transfers of power to opposing political factions. Panama’s most recent national elections occurred on May 4, 2014 with Incumbent Vice-President Juan Carlos Varela declared the victor. 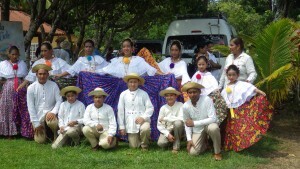 Panamanian folk dance group in traditional dress. Panama’s biodiversity is staggering – the country is home to 218 mammal species, 226 species of reptile, 164 amphibian species and 125 animal species found nowhere else in the world. 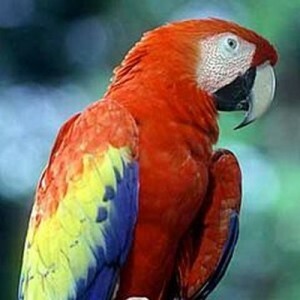 Panama also boasts 940 avian species, which is the largest number in Central America. 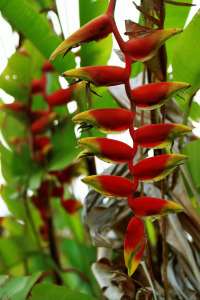 Panama is also home to more than 10,000 varieties of plants. Panama is the youngest area of land in the Americas, having emerged from the oceans approximately 3-10 million years ago. The fact that Panama linked the landmasses of the two Americas helps explain its incredible biodiversity. Bird-watchers consider Panama to be one of the world’s best birding sights. Quetzals, macaws, amazons, parrots and toucans all have sizable populations here, as do many species of tanager and raptor. The best bird-watching site in the country is Cana in Parque Nacional Darién, where you can see four species of macaw, golden-headed quetzals and black-tipped cotingas. One of the most sought-after birds is the harpy eagle, the national bird of Panama. With a 2m wingspan and weights of up to 20lb, this raptor is the world’s most powerful bird of prey and a truly awesome sight. The bird is recognized by its huge size, it’s broad, black chest band with white underneath, its piercing yellow eyes and its prominent, regal crests. The harpy’s powerful claws can carry off howler monkeys and capuchins, and it also hunts sloths, coatis, anteaters and just about anything that moves. Panama’s geographical position also makes it a crossroads for migratory birds. Out of the country’s 940 bird species, 122 occur only as long-distance migrants (ie they don’t breed in Panama). From August to December, North American raptors migrate south into Central America by the millions – at times, there are so many birds that they make a black streak across the sky. Panama holds a world record for 398 species of birds being spotted in one day. 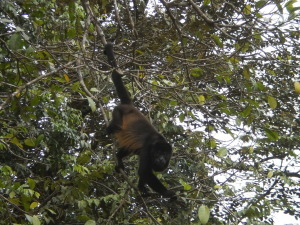 Primate lovers are also drawn to Panama. Among the country’s many species – including white-faced capuchins, squirrel monkeys, spider monkeys and howler monkeys – are some fascinating varieties. The Geoffroy’s tamarin, for instance, is found nowhere else in Central America. Big cats prowl the jungles of Panama and although you’d be extremely fortunate to catch even a glimpse of one, their prints are easy to come across. Jaguars, pumas, ocelots, jaguarundis and margays are all found on the isthmus. The jaguar is the biggest of the bunch and is the largest cat in the Americas. Jaguars (and pumas) both need large tracts of land in order to survive. Without them the big cats gradually exhaust their food supply (which numbers 85 hunted species) and perish. They are excellent swimmers and climbers and are commonly spotted resting on sunny riverbanks. Panama’s offshore waters host a fascinating assortment of creatures. Reefs found off both coasts support a plethora of tropical fish, and visitors to the national marine parks might spot humpback whales, reef sharks, bottlenose dolphins, and killer or sperm whales. Underwater, whale sharks, black- and white-tip sharks and occasionally tiger sharks also visit. 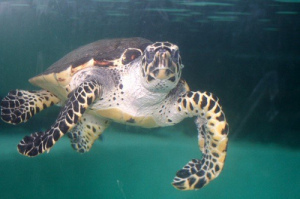 One of Panama’s biggest coastal draws is the sea turtle. Of the world’s seven different species, five can be seen in Panama at various times throughout the year. All sea turtles originally evolved from terrestrial species and the most important stage of their survival happens on land when they come to nest. Although you’ll need a bit of luck and a lot of patience, the experience of seeing hatchlings emerge is unparalleled. Arribadas (arrivals) are rare events that occur when thousands of female sea turtles flood the beach to lay their eggs. This happens occasionally on Isla de Cañas when 40,000 to 50,000 olive ridleys come to nest at a single time. This chance event most likely occurs in the wet season (usually September to October) during the first and last quarter of the moon. Although scientists are not entirely sure why these mass arrivals occur, a common theory is that arribadas are a defense mechanism to overwhelm would-be predators. Panama has the best infrastructure in Central America and the Government continues to invest ahead of demand- electricity, roads, and ports- allowing second homeowner’s easy access to a high-end vacation home that costs a fraction of similar properties in North America. Panama has the second largest economy in Central America and it is also the fastest growing economy and the largest per capita consumer in Central America. In 2013, Panama ranked 5th among Latin American countries in terms of the Human Development Index, and 59th in the world. Since 2010, Panama remains as the second most competitive economy in Latin America according to the Global Competitiveness Index from the World Economic Forum. Revenue from canal tolls continues to represent a significant portion of Panama’s GDP. The Panama Canal expansion project (also called the Third Set of Locks Project) finished in 2016, created a new lane of traffic and allowing more and larger ships to transit. Together, the existing and new locks approximately double the capacity of the old canal. 1. The cost of living is affordable. 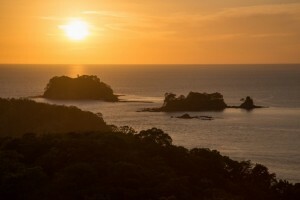 Outside Panama City, it remains possible to retire in a beach community, on the country’s Azuero Peninsula, on a budget of U.S. $1,200 per month or less. 2. The sun shines year-round. Panama City can be too hot and sticky for some retirees’ tastes, but look beyond the capital and you find pockets of near-perfect climates in some regions. If you prefer cool mountain temperatures to steamy sea-level ones, consider Boquete or less discovered and therefore more affordable, Santa Fe. 3. The retiree’s path is well worn. This country has been attracting foreign retirees in growing numbers for more than a decade. It offers many and very user-friendly options for establishing foreign residency. If you would like to live here full time, you will find many welcoming communities of expats and retirees. 4. You can get by without speaking Spanish. It’s not recommended, but in Panama City you don’t have to learn to speak Spanish if you don’t want to. In the country’s interior communication with the local people will require Spanish. 5. Health care in Panama is of an international standard and Panama City is home to Hospital Punta Pacifica; the only hospital in Latin America affiliated with and managed by Johns Hopkins Medicine International. 6. The cost of medical care is a bargain. Like everything, medical costs are higher in Panama City than elsewhere in the country, but even in the capital a doctor’s visit costs U.S. $50 or less. 7. Local Panama health insurance can cost U.S. $100 per month or less. Comprehensive coverage is all you need living in this country. 8. The infrastructure is of a high standard. This is a place where things generally work. The internet, cable TV, phone service, etc., are all as reliable as anywhere in the States. The roadways and highway systems being constantly expanded and improved. Panama City is an International Banking Center, meaning you find here banks from all over the world. ATMs are on every corner. 9. The currency is the U.S. dollar, so U.S. retirees have no currency-exchange risk or exposure. 10. Panama City is an international travel hub, very accessible from North America. The flight from Miami, for example, is about 2 ½ hours. 11. Panama’s pensionado program of special benefits and discounts for foreign retirees is the current Gold Standard. Retired in this country, you can save as much as 50% on everything from restaurant meals to in-country airfares, from prescription medicines to closing costs on a new house. 12. Panama is a nature-lover’s paradise, boasting some of the world’s best surfing, snorkeling, diving, sport fishing, birding, hiking, and adventure-travel opportunities anywhere on earth. Retirees you meet in Panama aren’t losing sleep over their futures. They’re embracing them.